The hotel is due to be built next year. 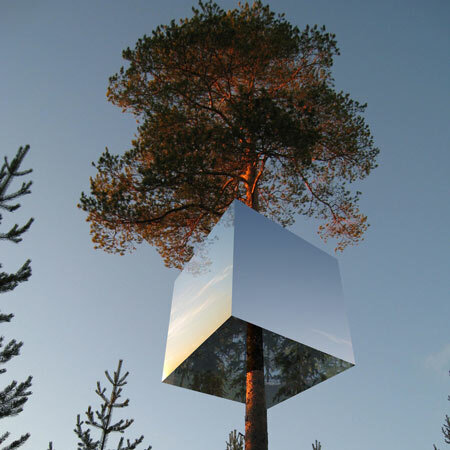 The concept is to create a shelter up in the trees, a lightweight aluminium structure hung around a tree trunk, boxes clad in mirrored glass, 4x4x4 meters. The exterior reflects the surroundings and the sky, creating a camouflaged refuge. The interior is all made of plywood and the windows give a 360 degree view.